[One day trip bathing] 500 yen Up to around <1>:00 to <2>:00.
the roof which required the gabled, hipped roof and the gradient is beautiful -- high -- the wooden Japanese style traditional lodge which consists of four buildings, such as a tall building and Shirakabe's warehouse.it is built in a sloping ground -- high -- Touson Shimazaki who a mountain range of Asama was desired from the tall building, and was still obscurity at the time of a meiji -- the inside of the "Chikuma River sketch" ... a measure store is the good Spa accommodation of a view.... a tall building -- the mountains in whole long distance Asama were overlooked from the top.It is described as ...with that time -- high -- in a tall building, a connoisseur's young master receives the dish which pursues "a nice thing." 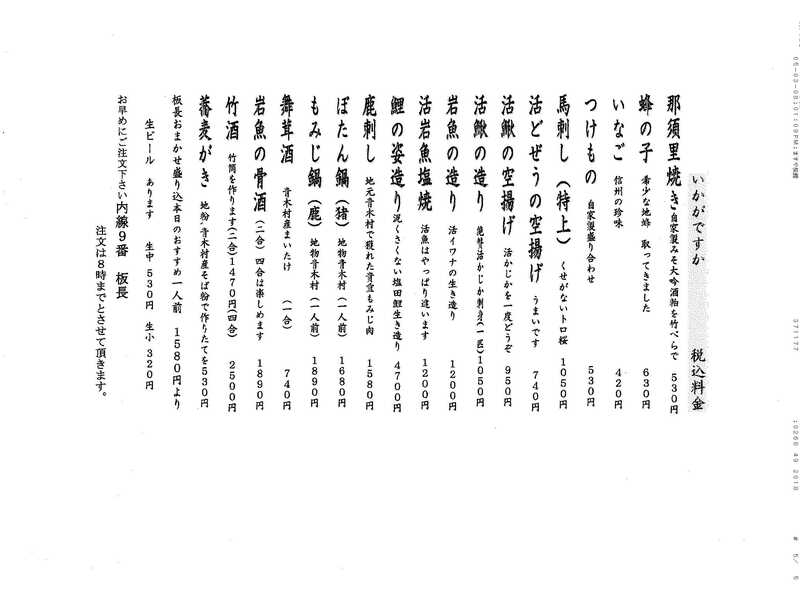 - It was designated as the registered tangible cultural properties of the country. A sulphuric smell, the family bath of free-flowing hot-spring water. 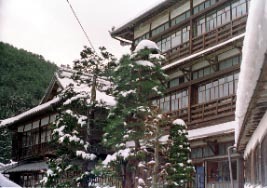 The inn used as the stage of the movie "table tennis hot spring. "If you go out after being appreciated? Focusing on wild grass river fish, it is a handmade dish altogether. * It is 90 ml 3 cup, respectively. Special thing: White distilled liquor, wine, etc. Meal place: A supper is a room and a dining-room in the morning. A Large bathroom, a Separated by gender. 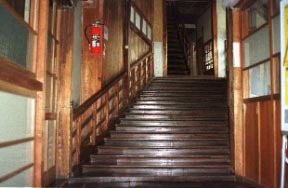 * The instruction of 100% of the fountainhead and an ancestor is protected, and it is free-flowing hot-spring water. One-day-trip bathing: 500 yen From around <1>:00 to <2>:00. 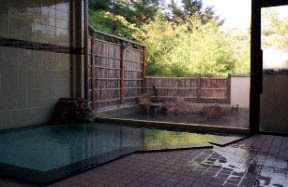 It is a juxtaposition Separated by gender to an indoor hot spring.It is a good location to see about the mountain range of Asama. Up to an Aucuba japonica bus stop. the group (more than 7 persons) -- please consult.